Houses & Homes VA: Waiting to buy that new home? Current mortgage rates say otherwise! Waiting to buy that new home? Current mortgage rates say otherwise! Although many factors affect sales in the housing market, current mortgage rates must always be considered when one is thinking about buying a home. Luckily for home buyers mortgage rates are quite reasonable right now and this is a good time to consider either buying that first home or moving up to something a bit more “substantial”. The most popular types of mortgages did edge up slightly this week but not enough to be a hindrance to home seekers. 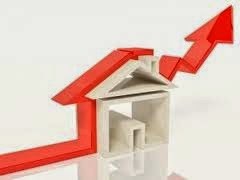 The average rate for 30 year fixed rate mortgages rose only .01% to an average of 4.1%. while 5/1 Hybrid ARM’s (Adjustable Rate Mortgages) averaged a reasonable 3.13%. Due to various market conditions many experts expect rates to remain stable in the immediate future although no one can say for sure. Considering that rates are just slightly above 16 month lows now is a good time for both buyers and sellers to make a move. The benefits of obtaining a lower interest rate for buyers are obvious including increased purchasing power due to lower monthly payments but there are benefits for sellers as well. Better rates equate to more buyers searching for homes and this can also result in a slightly higher selling price for the home owner. Below are the nationwide average rates and points for the previous 2 week period.